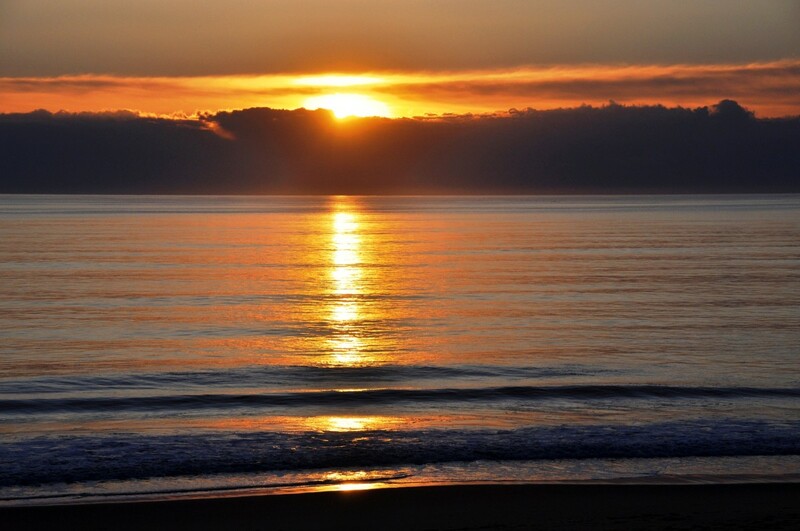 The Outer Banks on North Carolina's East Coast is a popular beach destination for many people. Stretching almost 200 miles, it is chain of narrow barrier islands off of the coast of North Carolina. With it's fascinating history, attractions and scenery, it's a beautiful area that offers something for every visitor. Of course, as everyone knows, vacations can get pricey. The good news is that you don't have to spend a lot of money at the Outer Banks to have a good time. 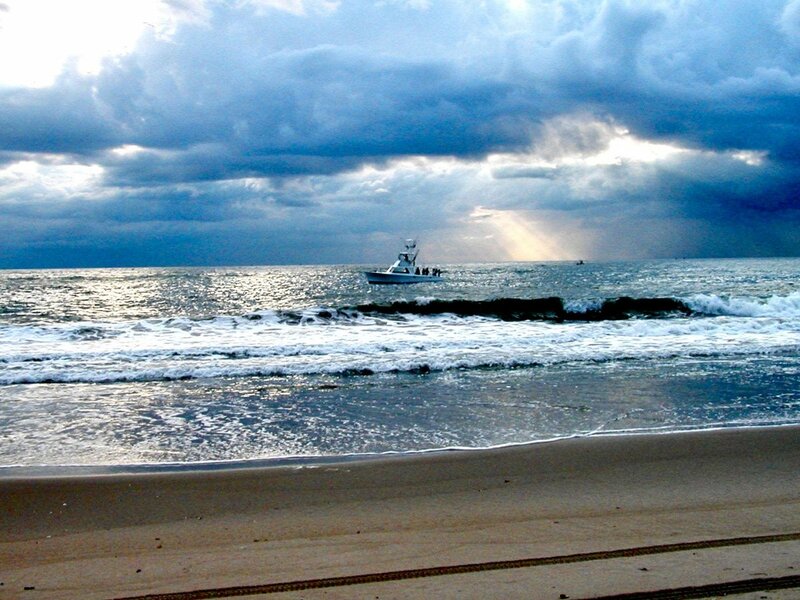 There are many fun and free things to do in the Outer Banks of North Carolina and with the following suggestions you are sure to find something for everyone in your group. 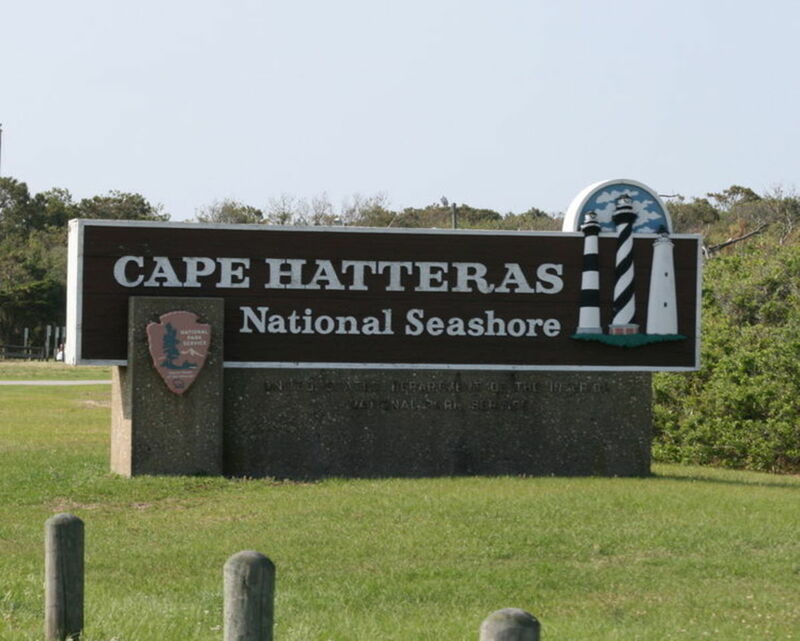 Cape Hatteras National Seashore is located in the Outer Banks of North Carolina and doesn't cost a thing. It is approximately 70 miles long and begins around the Bodie Island Lighthouse and ends at Ocracoke, with small towns scattered along the way. The beaches are beautiful and relatively untouched in many areas. Bathroom and shower facilities are available at various points along the seashore as well as some lifeguarded areas. Swimming is wonderful as is the sunbathing. Kids will love gathering sea shells and playing in the waves. Don't forget to bring your bike, surfboard or kayak for even more outdoor fun. On a clear night go down to the beach and take advantage of the dark skies to star gaze. Take advantage of the numerous guided and interpretive programs available that are also free of charge. Interesting fact: In 1999 the Cape Hatteras National Seashore was named a Globally Important Bird Area because it is a major stop for birds during migration. 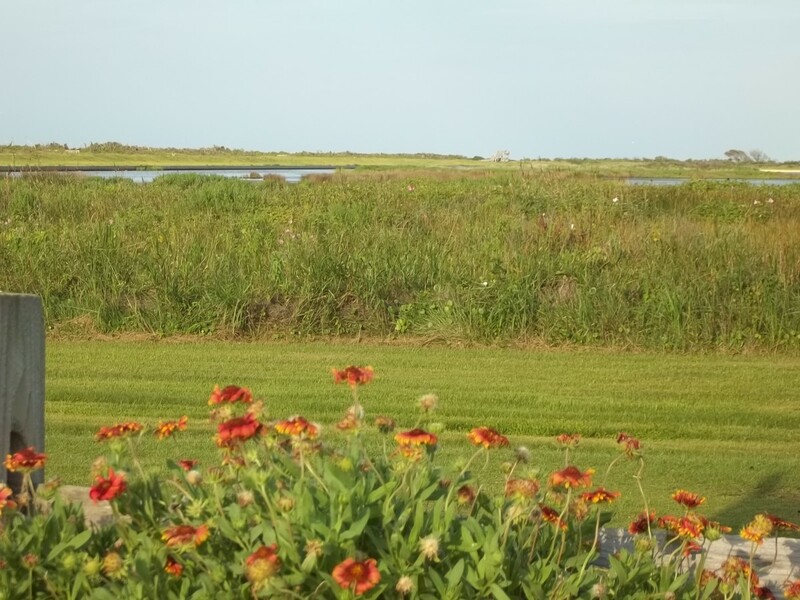 I'm partial to the Pea Island National Wildlife Refuge. It's great for birders, especially in the spring and fall. About 13 miles long, it's located within the Cape Hatteras National Seashore. There are a limited number of paths with the main one being next to the visitor center. Walk way out on the path and you'll come to overlooks that are perfect for bird watching and photography. 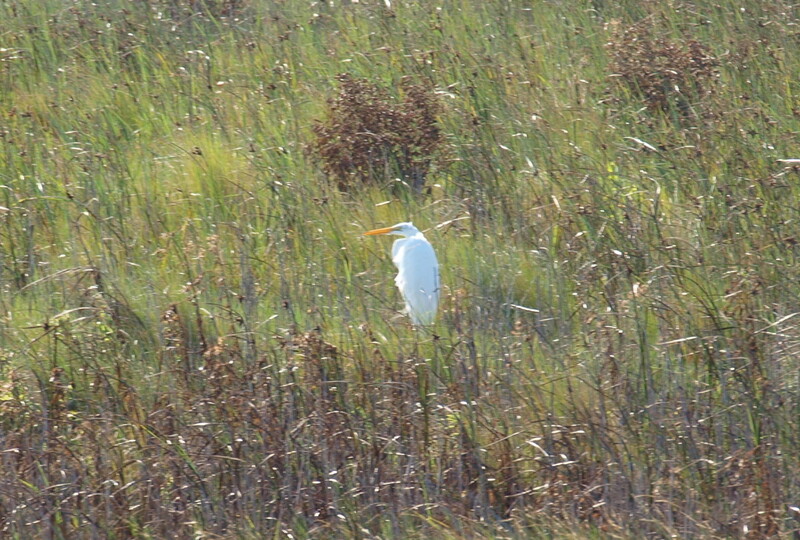 If you're lucky, you may see snowy egrets, turtles, sand pipers and pelicans, and that's just the a sampling. 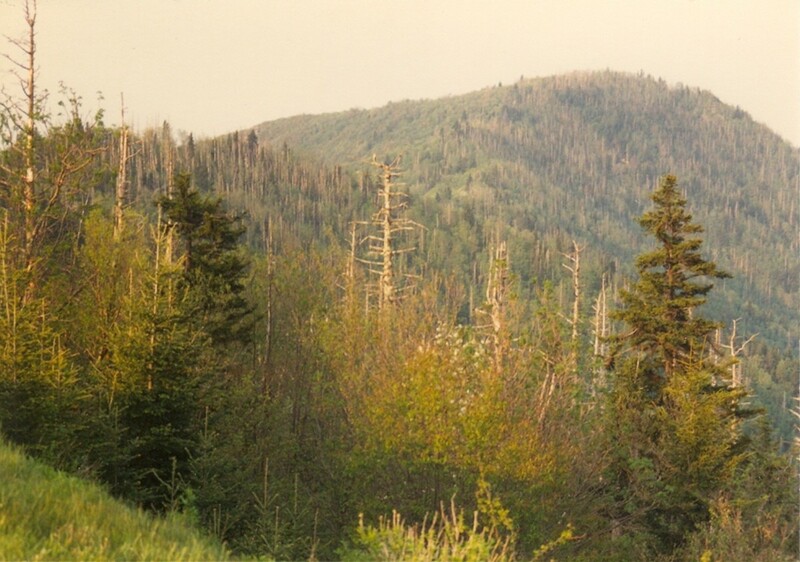 During warmer months, there are many interpretive walks/talks offered that are free of charge. Make sure to bring bug spray and wear protective clothing and a hat. It can get really buggy! 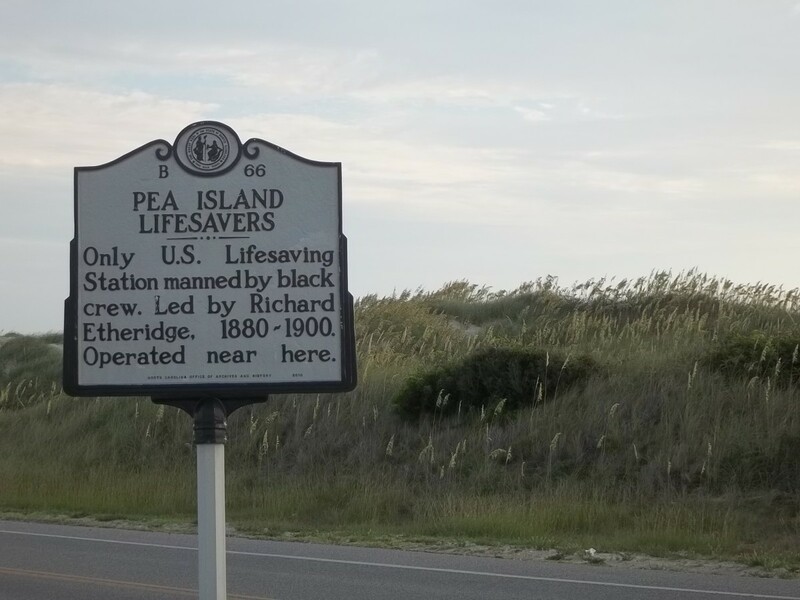 Interesting fact: The Pea Island Life Saving Station was the 1st life saving station in the U.S. to have an all black crew as well as a black commanding officer, Richard Etheridge. No visit to the Outer Banks is complete without a visit to Jockey's Ridge State Park. It provides hours of free entertainment for everyone. 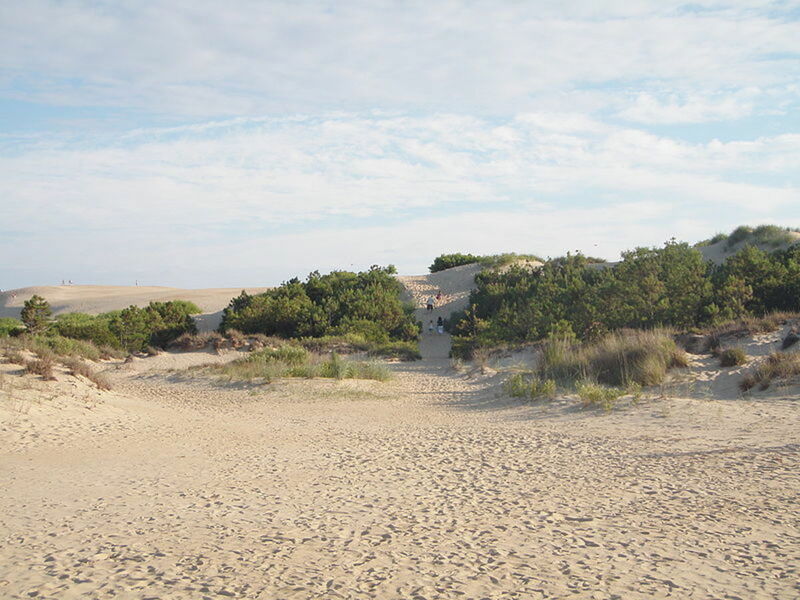 According to their official website, Jockey's Ridge is the tallest natural sand dune ridge in the Eastern U.S. Once you get to the top of the tallest dune you are rewarded with great views of the surrounding area. Even better is running down the dunes with friends and family. Bring a kite to fly or watch all the Hang-gliders in action. An added bonus is the fantastic workout you get walking up and down these amazing dunes. Bathroom facilities as well as a leg/foot rinsing station are available. It's particularly lovely in the evening or early morning. Interesting fact: The dunes are always changing so if you go back year after year, they may not look the same. Alligator River National Wildlife Refuge is a beautiful refuge near the Outer Banks and admission is free. Bring your canoe or kayak for a fun filled day. There are 15 miles of coded paddling trails. You'll probably run into snakes and, if you're lucky, you may see a red wolf like the one pictured. The refuge is also home to the largest population of black bears in eastern North Carolina. If you don't have a canoe or kayak there are a number of hiking trails for use. They recently opened a beautiful new visitors center with fascinating interactive exhibits. The refuge also offers free interpretive walks and, in the off season, free tram rides around the park. This free attraction is definitely worth a visit, especially if you need a break from the sea. Interesting fact: The refuge is home to about 100 endangered red wolves and is actively involved in their recovery. Run by the North Carolina Department of Transportation, the ferry system in the Outer Banks is quite impressive. There are a number of different ferry routes, some have a charge, but some do not. 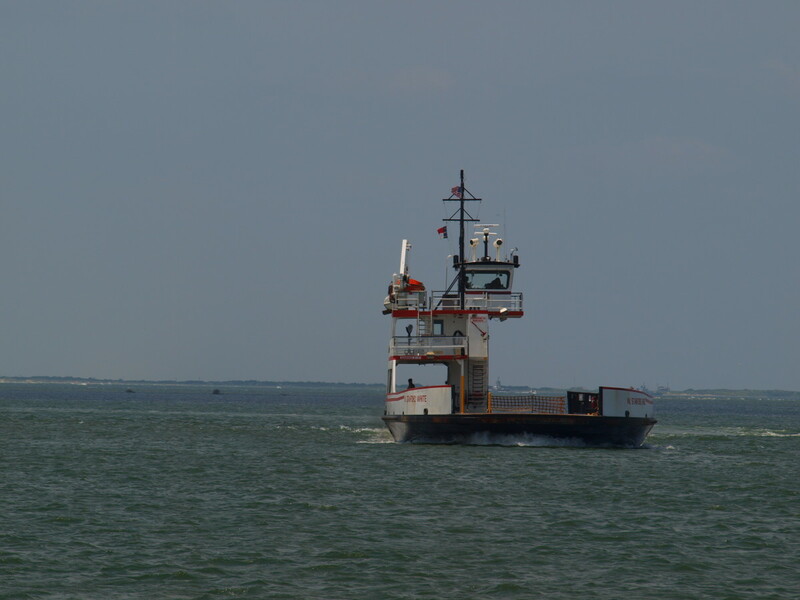 If you want to get to Ocracoke Island, a popular island in the south end of the Outer Banks, you'll have to ride the ferry. The ferry ride from Hatteras to Ocracoke is about 50 minutes long and you can get out of your car and walk around the boat. Best of all, it's free! There are benches to sit on and watch the sea as you sail across it. Check out the schedule for ferry departure times. In the summer they run quite frequently, but there can be a long line. Locals and delivery trucks have a pass so they get on before anyone else, but this free attraction is worth the wait. Interesting fact: Ocracoke was a hangout for the notorious pirate Blackbeard and it was here that he died. There are 4 Lighthouses accessible on the Outer Banks. There is a fee to climb the ones that are open to climb, but there is no fee to visit the grounds. Hatteras Lighthouse - This lighthouse was moved a number of years ago because of fears that it would be destroyed by the ocean. There is a visitor center and an interesting museum which are both free of charge. There is a fee to climb up the lighthouse. Bodie Lighthouse - While the lighthouse is not open for climbing, there is an interesting museum and boardwalk around the grounds. There is no charge for this attraction. Ocracoke Lighthouse - Not open to the public, the grounds can still be toured for a good view of the lighthouse. Currituck Beach Lighthouse - There is a fee to climb this lighthouse, but not to tour the grounds. 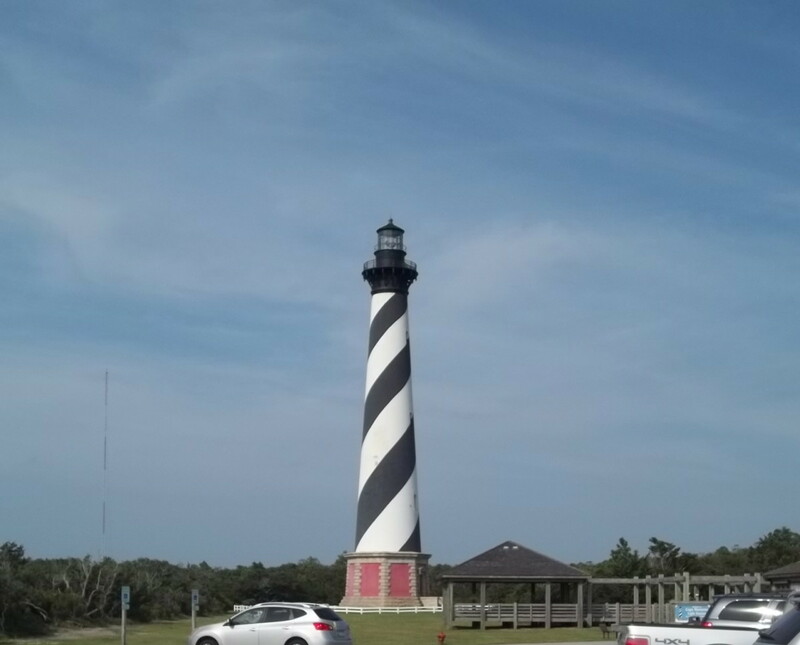 Interesting fact: The Cape Hatteras Lighthouse is the tallest brick structure ever moved. Located on Roanoke Island, Fort Raleigh is the home of the first English settlement in the New World. 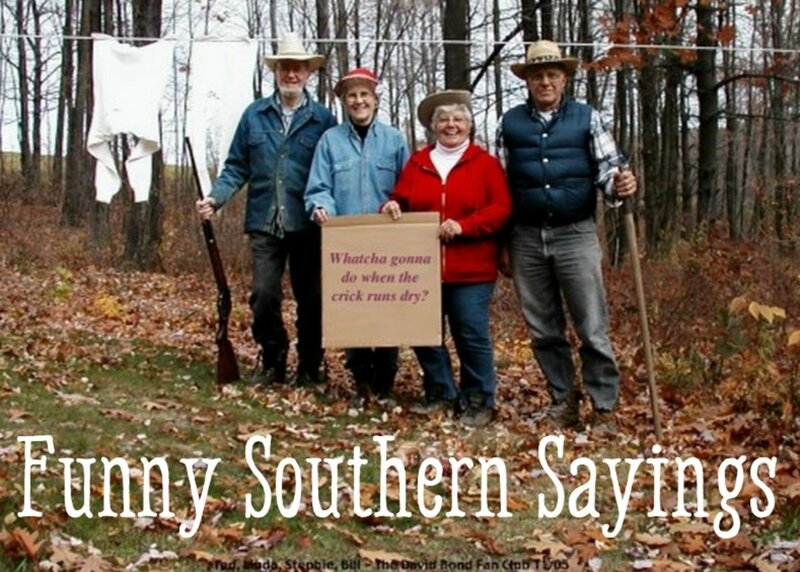 It was also the site of a colony of freed slaves during the Civil War. Free of charge, it has walking and hiking trails as well as an earthen fort to visit. The visitor center highlights historical events and the Native American history of the area. 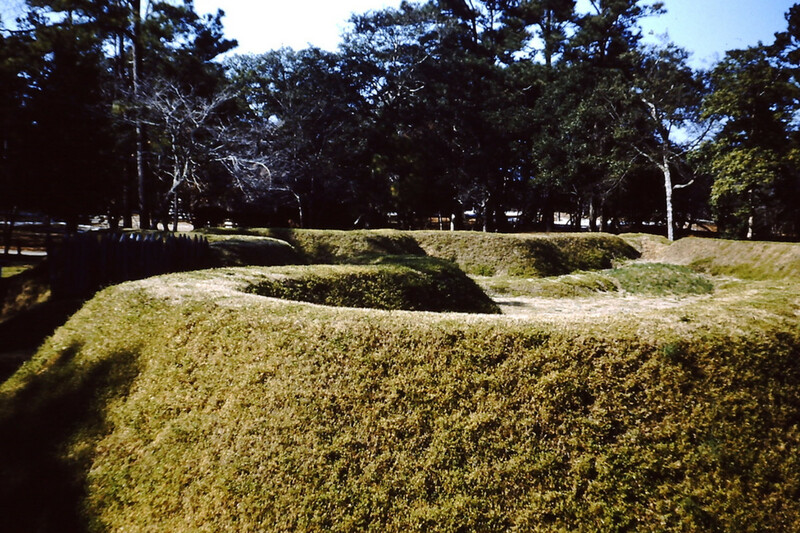 It also exhibits the famous story of the "lost colony". What happened to the first colonists, including Virginia Dare, the first baby born to the settlers, is still a mystery today. Within the Fort you'll find the Elizabethan Gardens and a wonderful theatrical rendition of the "lost colony" story, both of which charge a fee. Interesting fact: Before the first colony of families, better known as the "lost colony", there was a colony of explorers and soldiers on Roanoke Island. How many ferries does it take to get to Avon, NC? None if you are driving south from Kitty Hawk. If you are driving North from Ocracoke, then it depends on where you are coming from. Hi Stephanie - We went last summer and took advantage of the Bodie Lighthouse reopening. What a terrific view and completely different than Hatteras. It's one of our favorite vacation spots. Thanks for reading and for the reminder that I need to update this hub! 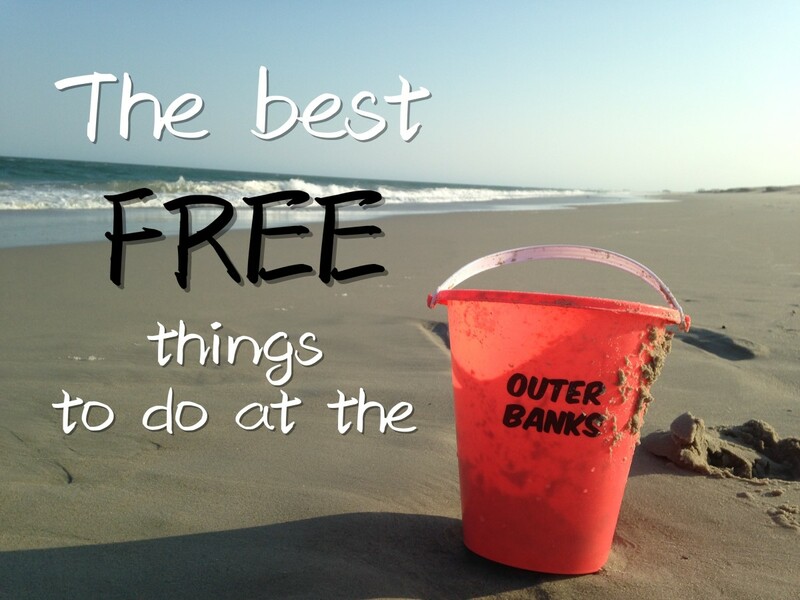 We have a house near the Outer Banks and frequently take advantage of the fun and free things to do along the Cape Hatteras National Seashore. You did a great job describing the activities...it's a wonderful place to spend a vacation. One recent development is that renovations to Bodie Island Lighthouse have been completed and you can now climb the 200 steps to the top (for a fee of $8). Next time you visit, do give me a shout out...love to meet you if we happen to be in the area and not off RVing! Thanks so much LaurieNunley! It is such a beautiful area. Unfortunately I won't be making it there this year, but hopefully next summer. Glad it brought back some memories! Thanks for the great article. 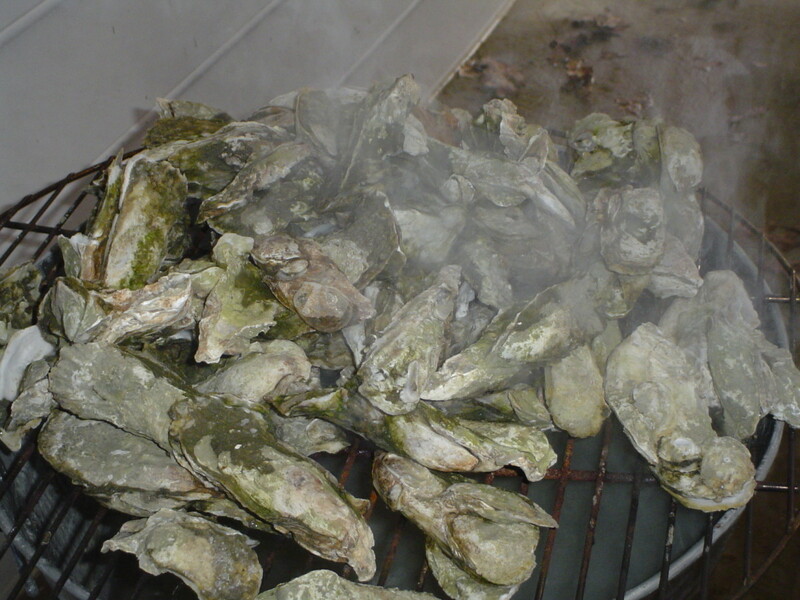 I'm from coastal North Carolina; makes me homesick! This would definitely make a nice side trip from Richmond for a few days. It is so beautiful and peaceful. Thanks for the comments. I appreciate them. There are a number of places here I have not been. North Carolina is such a beautiful state that I am not surprised you have found these gems to share with us. It makes me want to pack up and head up that way. Thank you for sharing this. I am book marking it so I can come back to it when I go up to Richmond to visit my family I will have to take some side trips. Thank you so much sgbrown! Hopefully one day you can take a trip out to the East Coast and check out the Outer Banks. I bet you'd love it. You'd love it. Especially in the fall and the best part is that rentals and things are a lot cheaper off season and places are a lot emptier once school starts up again. Thanks for the visit. Sadly as a North Carolina native- I've never made it to the OBX but I would like to. This hub has some great sites that sound really interesting :). Thanks so much Suzette. I hope you make it there sometime. 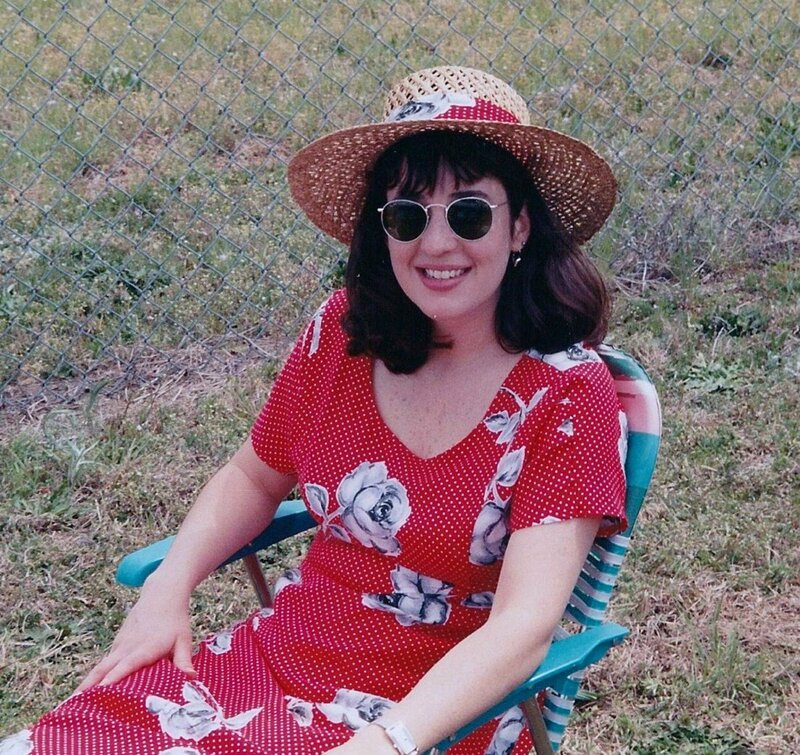 Going to the beach is one of my favorite types of vacations. Thanks for the information. I have never seen the Outer Banks of N. Carolina. This hub makes me want to vacation there. I love your photos - they are gorgeous. What a beautiful place. You've got to visit sometime! It's absolutely beautiful. It's really nice and empty in the fall and there are great deals on rental beach houses too. Thanks so much for the comments teaches12345! You have drawn my attention here.. didn't know there was all this in North Carolina which is just hours from here. Thanks. Thanks so much Mhatter. I always appreciate your comments. Simply beautiful. Thanks for sharing with us. Debbie - I'm glad you enjoyed the hub and hope you make a visit! Also glad you liked the interesting facts. I had fun trying to find neat things to put down. Thanks! I appreciate your comment fpherj! Hopefully you'll make it down some time like your friends. You'll probably start going back year after year too. It really is a beautiful place. Thanks so much billybuc! I hope you make it to the Outer Banks some time. I think you'd love it. It's a very inspirational place. bdegiulio - Thanks so much for your comments, vote and share. They mean a lot, especially since you have such wonderful travel hubs! 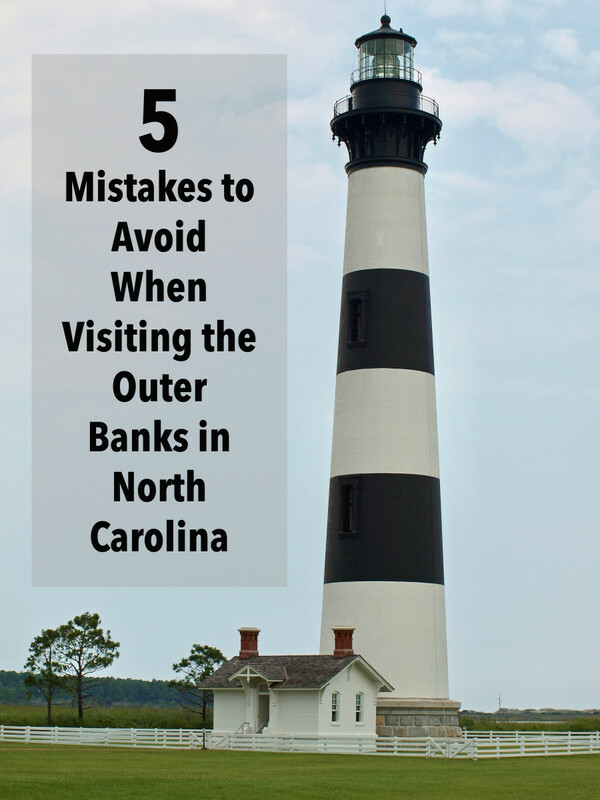 I hope this hub persuades you to visit the Outer Banks! Thanks for some great information! I appreciate the "Interesting facts" you added. You definitely make me want to visit the Outer Banks in the near future! Thanks for a great Hub. Well, if I ever get there I will know what to see. Thanks for the great tour and guide. Maybe some day I will be able to travel there. Great job!